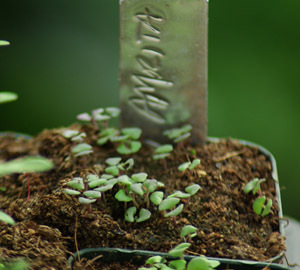 Amrita, Rama and Vana are perennial, Hardy to zone 10 t0 12. 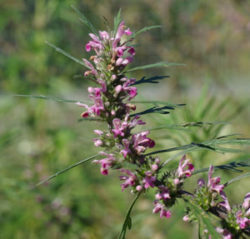 Temperate tulsi is an annual. The TULSI set consists of five full sized packets of Holy Basil (Tulsi) used to make the health-promoting tea in ayurvedic medicine. These are: The lovely Krishna-tulsi type Amrita Tulsi (Ocimum tenuiflorum), the green Rama Tulsi (Ocimum tenuiflorum), the large leaved perennial bush basil Vana Tulsi (Ocimum gratissimum) and the easy-to-grow green-leaved Temperate Tulsi (Ocimum africanum). 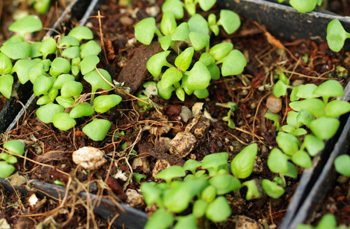 Prepare a flat of potting soil or a fine seedbed in spring and scatter seeds on surface, then press in and keep evenly moist and warm until germination, which is rapid. 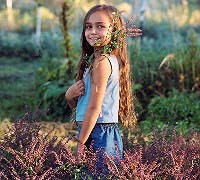 Tropical types (Rama, Vana, Amrita) are best started in strong light in very warm conditions. 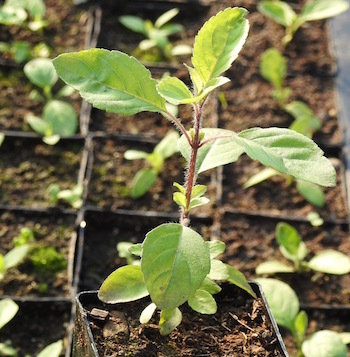 The temperate tulsi will germinate on a windowsill. Transplant or thin to 1 foot apart. 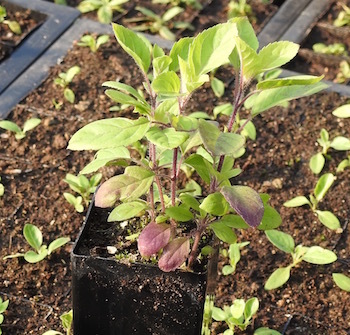 Regarding the temperate tulsi (previously misnomered “Kapoor”), we tested this cultivar and confirmed the eugenol marker, and subsequent genetic testing shows it to be a basil of African origin–Ocimum africanum. This is the holy basil my wife and I grow for ourselves to make into tea. We find it very satisfying, with aroma most appealing. Traditional usage (Ayurveda): stress, anxiety, heart disease, arthritis, diabetes, and dementia. Drinking tulsi tea in the morning is a fantastic way to get started. When I search the web for Ocimum aftricanum I get results for lemon basil. 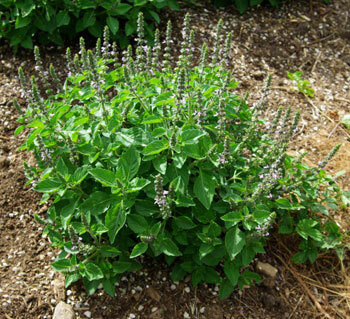 But it looks like there is another lemon basil, Ocimum citriodorum. Are they really different? This is a very complex subject. 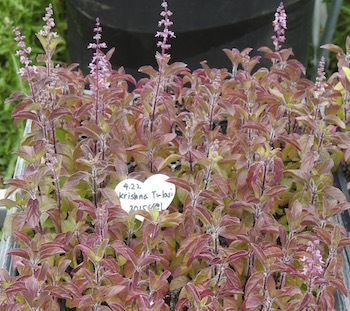 Lemon basil would be one of the common names for Ocimum africanum but if you bought a lemon basil from any number of nurseries it would not be the same as our holy basil. This is a tetraploid strain that was stabilized in antiquity. 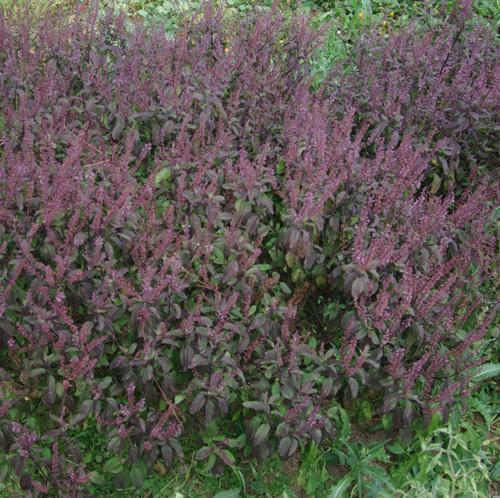 Kapoor was a misnomer for the temperate tulsi, which has now been identified as Ocimum africanum. 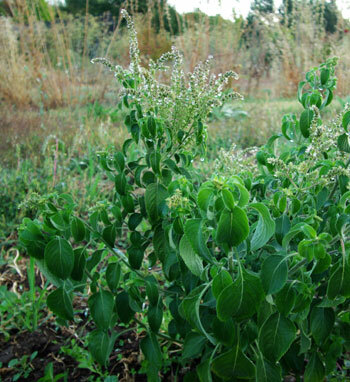 You want to get the temperate tulsi. 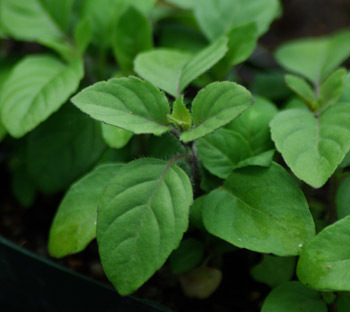 So the “Temperate” Tulsi in the 5 pack IS Ocimum africanum (Formerly known as Kapoor)? 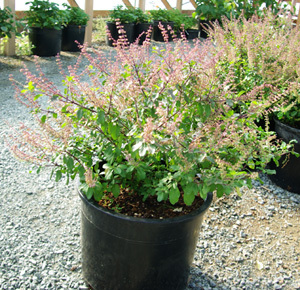 Yes, we do put a pack of temperate tulsi in the tulsi set. 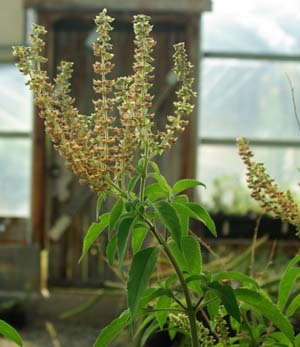 This seed has been oft-mislabeled, starting with Abundant Life (now defunct) that called it “Holy Basil Ocimum sanctum” and continuing with our catalogue where we misnomered it both “Rama” and “Kapoor.” My only defense is that I was the first to identify it correctly as Ocimum africanum. At this point the milk has been largely diluted by the addition of many waters. We’ll probably just keep calling it “Temperate Tulsi” which is a functional name that may be somewhat helpful. Other catalogues continue to call it “Holy Basil” which is equally misleading. 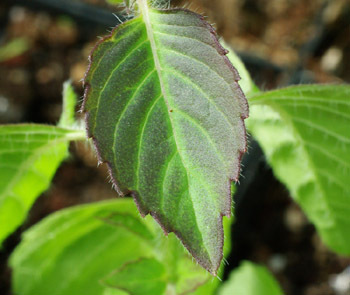 The HPTLC we’ve done on the plant shows that it does contain some of the active chemistry that makes tulsi work, and the genetic analysis shows its African origin. Yes, they say that beauty is in the eye of the beholder yet the beauty of tulsi is self-realized. How many seeds are in a ‘full sized packet’? 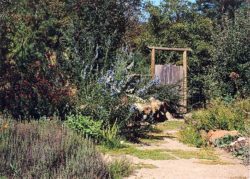 You can find all the seed packets in the collection individually on our website. The seed count for each packet is as follows. Can I grow these in zone 6b (Lancaster County, PA)? I was sooo wanting to grow this. Potted? Or will it simply not grow in my zone? 🙁 Thanks! Thanks so much Richo! So happy I can grow them! 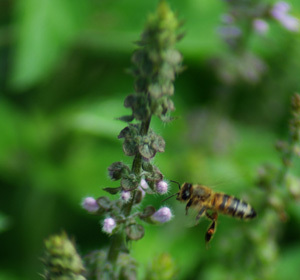 I love the Holy Basil tincture I have and would love to grow my own. Thanks and have a great day! 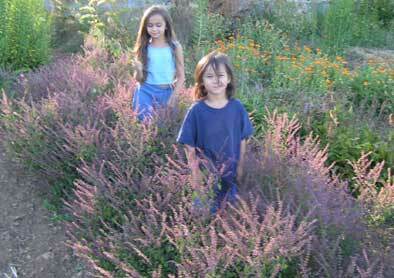 Liz, I grow these in zone 6a in the ground in my large tulsi patch and they do very well. I start them early before setting out, then plant. Had a bumper crop last fall. What a blessing! They grow and produce leaves quickly. I eat the leaves in the evening to help with anxiety prior to sleeping. I have tried all kinds of medicines and melatonin, but nothing works as well as the soothing and calming effect of the holy basil leaves.